Apparently Khloe Kardashian is shocked that her brother Rob is dating socialite and Tyga’s baby mama Blac Chyna. The 31-year-old reality star took to Twitter to respond to the shocking news that her bro is banging Kylie’s nemesis. “You can do anything. But never go against the family,” she wrote on Twitter. 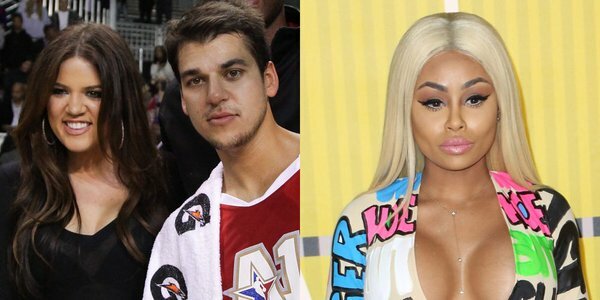 Social media and the blogosphere have been buzzing all day after Chyna took to Instagram to upload a photo of Rob Kardashian’s arm wrapped around her. Several people find the news surprising and utter cringe-worthy cos Blac Chyna was once engaged to Tyga, who is Kylie’s current boyfriend. Finding out that your bro is dating your boyfriend’s ex is just not cool at all. LOOK AND SAY: Is Bobrisky Peeling Off His Entire Skin?- We Are Concerned!